In recent times the results from search engine pages returned by Google, have become more multifaceted. In the past eighteen months, Google replaced its former method of showing result pages by an algorithm to what is now known as a “Blended Place Search”. 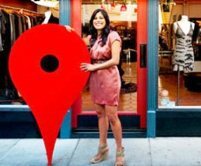 This new method combines both the algorithm with Google Places / Local. For a web page now to rank high in a Google Local, the following items must be addressed. These are the top 5 ranking factors for Google Local from a recent survey by David Mihm. For full detail listings of all factors read the blog post Local Search Ranking Factors. We only list the top 5 out of a possible 100+ ranking factors Google will consider when displaying your Places / Local listings. For proper optimisation all other factors from the survey must be taken into consideration. It’s essential to have the physical address listed in the city of your search, otherwise when returning results for a web page, Google may rank the site lower on its list of sites due to it not being aware that the business is in fact in the same vicinity of the required search. Selecting the correct categories which describe the business is vital. Having the correct categories will enable the search engine to return the correct business as a result in a local search. These categories should all be accurate, if the business is not listed correctly; no amount of content or links will make up for this. eg. Having a Dog Grooming business categorised in Wedding Planning will result in poor results. This still remains an important factor. When listing the city of the business, Google will display it from the so called “Centroid” (Centre of town). So when searching for a business in BENDIGO, Google will start from Bendigo 3550 and move outwards into other suburbs. Listings in Melbourne or Sydney will not display as these are outside of the “Centroid”. Relates directly to your domain name and how likely it is to rank on major search engines. Many factors are taken into consideration including strength of domain name, number of years registered, number of incoming and outgoing links, linking root domains, content, pr rank etc. A strong domain with great authority will rank higher on Google Local. Testimonials and reviews of the business on other sites result in creating a larger footprint on the web. Citations from high authority websites, review sites, directories and confirmed testimonials add value to your business. The content of the citations can be either negative or positive. Both will support a higher ranking. Having customers talking about your business is a great way to increase local rankings. In conclusion, by taking into consideration the five points listed above, businesses can increase their rankings thus exposure to potential clients. Ensuring the five points are regularly reviewed every three to six months to ensure it’s continued relevance, will allow the business to continue it’s prominent local rankings.